Recipe by Lisa Turner from her book Eat Local, published by Down East Books. Toss to coat the blueberries with the flour. 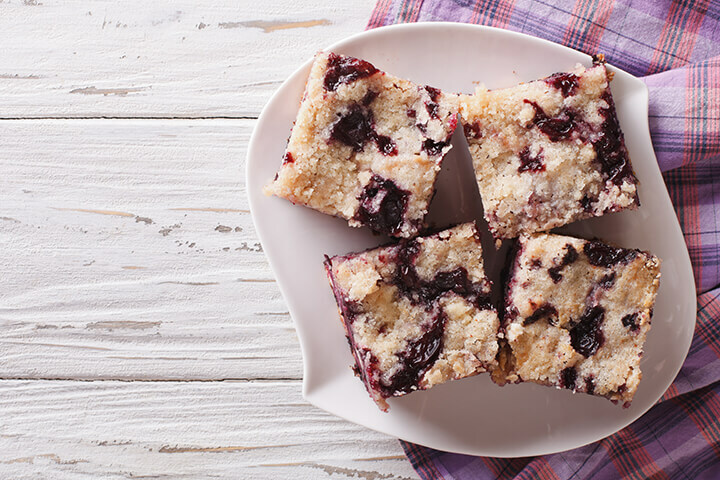 The flour helps to keep the blueberries from running and giving you a gray cake. Be gentle as you handle the berries. Fold the berries into the cake batter. Put the batter into a greased and floured 9”x9”x2” cake pan. Mix until it is crumbly and sprinkle evenly over cake. Bake 35 minutes, until a toothpick stuck in the middle comes out clean.